Year after year PMP Industries technical department is specializing in designing customized solutions for specific applications and two words are more often associated with PMP Industries, Application Specialist. The development of dedicated solutions for different customers has increased customer confidence regarding the company's strategy: the integration of its expertise in gearbox planetary transmissions with heavy-duty hydraulic axial piston motors and pumps used in closed-loop heavy-duty applications such as hydraulic excavators, agricultural and forestry machines. The technical solutions that the company has developed for hydraulic excavators have been vindicated by a positive market response, are of this a perfect example. The travel drive integrated motors (PMCI series) have been enriched by special solutions that enable the pressure peaks to be damped in order to increase the lifespan of the transmission. The power planetary stage lifespan of a gearbox is closely associated with torque spikes. During starting and braking, the inertia of the excavator causes pressure spikes that the single spool counterbalance valve typical of these applications is not able to smooth effectively. Integrated motors presents different options that act as a damper in order to maintain the economy of single spool counterbalance valve without resorting to the soft control of piloted motion control valves. The effect on the excavator is immediately felt by the operator and it is also evident via a strong improvement in terms of crawl-stopping comfort. This allows the parking brake to be completely open when axial piston motors start to receive power from the main excavator distributor. This feature increases efficiency, while completely eliminating any possible wear of the friction disc. Together with PMP's patented axial guide solution of a static counter plate of friction discs, it ensures reliable braking torque throughout the transmission's lifespan. The solution studied for excavator applications has been successfully adopted over a wide range of different applications, including crushers and drilling machinery. On these machines, the pressure peaks reduction has enabled the design of an extremely compact integrated transmission with an improved lifespan. Its advantage in terms of heavy and slow machines lies more in the control of the high inertia of the machine than in the operator's comfort. However, on 'faster' machines, such as excavators, the increase in comfort is closely linked to the gearbox's increased lifespan. Technical solutions tailored for specific applications are the result of the company philosophy that sees the investment in research and development as a vital step in the growth and development of any company in today's global markets. 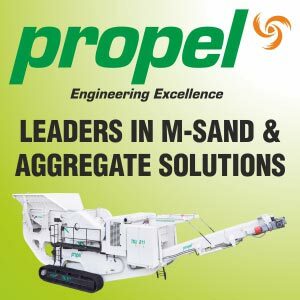 Even in lean years, where the performance of the economy is unpredictable, PMP Industries has always invested heavily in the development of innovative new products. In the last 10 years the company has designed and developed an impressive range of new products characterized by high technology and high innovation rate. The company has protected these investments, registering several patents worldwide. Several products have been studied to meet customer technical requests and market-specific needs. Tradeshows are always important moments both to let the markets know the newest company solutions and to get first feedbacks and impressions through discussions with potential customers. Take the chance to discover PMP technical solutions at the forthcoming Excon 2015 in November (25th-29th). During this must-be tradeshow PMP Industries will present the latest complete solutions PMP has developed for several applications belonging to different sectors. Feel free to meet PMP team in Hall 2, upper level, stand no. 478-479-480.